Can I take photos or videos at The Yoga Barn? For non-profit and non-commercial use of materials (i.e. memories of your holiday in Bali or for your personal social media accounts), you are welcome to take photos and/or video around the community and garden areas at The Yoga Barn. This includes our amphitheater (wooden deck), pathways, entrance, Garden Kafe and in front of buildings. You can also take photos inside the studios but only before the start or after the completion of a class and only if not disturbing the experience of other guests. If you want us to repost your content, you can use #theyogabarn. Please note: we DO NOT ALLOW photography or videography during CLASSES or WORKSHOPS unless explicitly permitted by the Management Team and Teacher. To obtain permission to take photos or video, please fill out this request form here. For professional use of photos or videos to promote The Yoga Barn on social media, you are welcome to take photos and/or videos around the community and garden areas at The Yoga Barn provided that you are not disturbing the experience of other guests. If possible, tag our accounts or indicate The Yoga Barn as the location. For publication or use of photos or videos on any channels other than social media (i.e. website / print / TV or other) or to record inside The Yoga Barn studios, you need prior permission form our Management Team. To obtain permission, please take a moment to fill out this short request form here and we will reply to you as soon as possible. Can I book a class? All our classes are casual, so no bookings. You can not currently book through our app or online. To register for a class you must do this at reception. We recommend to arrive 30 minutes before the class to register. Can I purchase my class card online? Class cards can only be purchased at reception, this includes the 3-dance-class card. Do I need to stay at The Yoga Barn to go to a class? Not at all, you are welcome to stay wherever you like, and still come to a class! How do I book Ecstatic Dance? All our classes are casual, so no bookings. This includes Ecstatic as well as Sunday Dance. These are our most popular classes each week. Pre-registration opens 2 hours before the class. We recommend to arrive at least 2 to 2.5hrs in advance to queue. Numbers (tokens) will be handed out till the maximum capacity of 150 is reached. You must return 30 minutes before the dance to register and pay. I heard you have online Ecstatic Dance passes, how can I get one? We have a special 3-dance-class card. These can only be purchased at our upper reception. Registration with these cards is online - opens 24hrs before each dance, and closes 3hrs before. We have a limit of 55 active ‘3-dance-class-cards’ at any one time, to allow casual students a chance to also come to dance. We provide mats and other props such as blocks and bolsters to use during the class but you are welcome to bring your own mat if you wish. Yes we have showers and changing rooms to use before or after class. We recommend to bring your own towel if possible. Is there anywhere to get a drink after class? Yes, we have healthy food and drink options here to enjoy at our Garden Kafe, or Juice Bar. I am Pregnant, can I come to class? Yes, you are most welcome. Our recommendation is for a Gentle or Slow Flow class, Hatha, Restorative, any of the sound healing classes. What is not advised is Yin Yoga as you have increased elastin in your body ( and will have post partum until 6 weeks after you end breast feeding) which can result in over- stretching of the connective tissues and joint instability. Breathwork, such as Shamanic Breathwork, Circular breathing and breath retention are also not recommended pregnancy. I want to become a yoga teacher, do you offer courses? We would like to bring a group to participate in your classes. Do you provide a group discount? Yes, but it depends on the circumstance ( for example, we do not have a group discount for dance ). I have lost my class card. Can it be replaced? Yes, your class card is registered to you only. Talk to our reception and we can have a new card issued to you. I have not used all my classes on my class card. Can I transfer it to someone else? No. Class cards are non-refundable, non-extendable, and non-transferrable. Do you offer childcare services at The Yoga Barn while I participate in a class? No. We are not responsible for children. We recommend you check with your hotel / homestay for childcare referrals. I would like to provide a friend with a Yoga Barn gift certificate for classes. Can I do so? Yes, but due to financial fraud in Indonesia, we are not able to to accept either credit cards or PayPal. Instead, we will provide you information for bank transfer. I would like to volunteer my services at The Yoga Barn in exchange for classes, food or board. Can I do so? Thank you for the offer, but no. 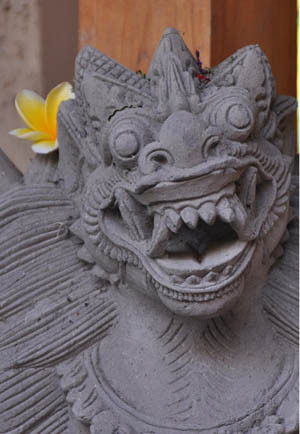 We have a full staff of local Balinese whom we employ at The Yoga Barn to perform these services. I am a yoga teacher, and would like to offer a workshop at The Yoga Barn. Can I do so? Thank you for the offer, but no. Indonesia has strict visa regulations pertaining to work permits. All of our foreign national teachers have legal work visas, so workshops are facilitated by our faculty only. I would like to temporarily rent a studio for my visiting group. Can I do so? Is the Guesthouse located on The Yoga Barn property? Yes – we are located directly on property. 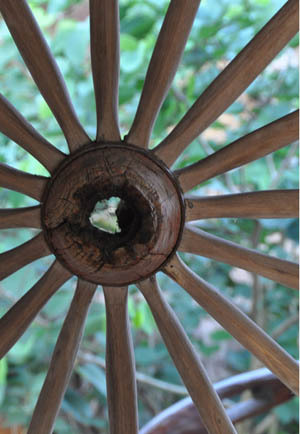 Access to our yoga studios, healers, KUSH Ayurvedic Spa, and yummy Garden Kafe is incredibly convenient. In fact - you couldn't get any closer! Are yoga classes included in the room rate? Classes are not included in the room rates, but single and multiple class cards can be purchased at reasonable and competitive prices. Multiple class cards offer additional savings, and can be purchased at our Yoga Studio Reception Desk. Please see: http://www.theyogabarn.com/schedule.html for our current schedule and class pricing information. Do I need to book yoga classes in advance? No. Our daily classes are offered on a drop-in basis. Simply show up 30 minutes prior to the start of the scheduled class, and pay the class fee (or present your class card.) Note: Our plethora of on-going workshops, retreats and training do require advanced booking. Please see http://theyogabarn.com/events.html for further information. Yes, the Yoga Barn Guesthouse has a swimming pool, exclusively for guesthouse residents. What do you mean by dorm/bunk room for women? Our dorm/bunk room is a great option for the budget-minded, sociable yogini! The dorm room features 2 sets of bunk beds, sleeping a maximum of four women. If you are booking only 1 bed, you will potentially have up to 3 other roommates, depending on other bookings during that time. There is one bathroom attached to the dorm/bunk room, and it is shared by all occupants of the dorm room. The dorm is a great way to meet and make new friends! Please note, if you are joining the 3-Day Cleanse or 7-Day Detox Retreat, you cannot book in to stay at the Women’s Dorm. You can book a private Standard or Deluxe Room. Do the rooms have safety-deposit boxes? Yes - all rooms, including the dorm/bunk room are equipped with locking boxes to secure your valuables. Are your Standard & Deluxe rooms private? Yes, the Standard and Deluxe rooms are private, and will be occupied only by you (and a friend, if you're bringing one!) Only our dorm/bunk room is a shared room for women. Our Standard and Deluxe rooms also have a private, en-suite bathroom and shower, including hot and cold water. Each room can sleep a maximum of 2 people. For couples, the 2 single beds can be pushed together to form a comfy double bed. From the airport (Ngurah Rai International) to Ubud takes about one hour, and costs approx 300.000 rupiah ( about US$30 ). There is a Taxi Stand immediately to the right as you exit the airport luggage claim. Book a cab and they will give you a voucher ... honest & legit. How do I get to The Yoga Barn? 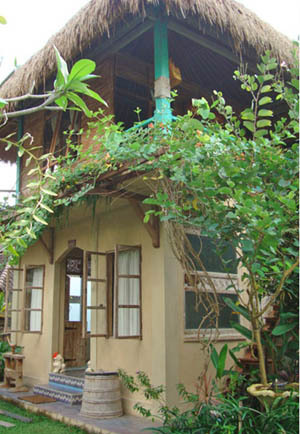 The Yoga Barn is nestled between Jln Hanoman/Pengoseken and Jln Tebesaya, Ubud. There is a small parking lot on the Pengoseken side and a larger lot for cars on the Tebesaya side. Find us! N.B. – If your passport is due to expire within 6 months, we advise you renew. On occasion, Indonesia has not allowed tourists into the country, and your airline might not allow you on the plane. Of course the first place we will recommend you to stay is The Yoga Barn Retreat Center. However, the rooms are often full, so we also like to recommend our neighbors, all within 10mins walk of the studios. Our preferred hotel partner is Plataran Ubud, a new property with a gorgeous pool and clean, well furnished rooms, located just down the street. Other options in the neighborhood include low budget home stays, mid range properties as well as luxury. It’s helpful when you change if you can ask for some additional ‘small money’, bills in denominations of 1,000 / 5,000 / 10,000 rupiah. The exchange rate is approximately Rp.11,100 = US$1.00. Basically, things cost a lot less in Bali. Bali is the only Hindu island in Indonesia, and was devastated by the ’02 & ’05 bombings in Kuta. Since the bombings, the Indonesian government has taken the threat of terrorism seriously by increasing security and arresting many. Although the US State Department has placed a travel warning on Indonesia, tourism to Bali is once again being touted by many international travel magazines. The Balinese people are among the most friendly in the world. 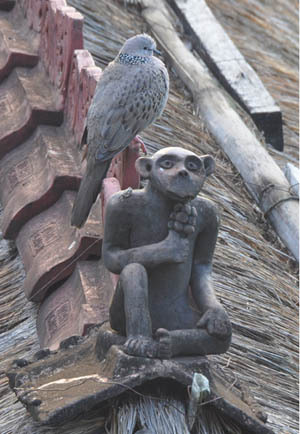 As for safety in the streets, there is little violent crime, especially in Ubud. In beach areas one has to take precautions against pickpockets, just as most beach tourist spots in the world. That said, if you’re reading this site then chances are you won’t be staying at an international hotel or partying all night at a discothèque down in Kuta. More likely you’re staying at a quaint bungalow, home stay or small hotel in the middle of a rice paddy, going to bed early to the chirp of crickets and frogs, and waking up early to go practice yoga. Breathe. You might want to bring a prescription of Keflex, or another type of oral antibiotic that can help with stomach ailments. Even though you will be eating in good restaurants, there is always a chance that you can get Bali Belly - a mild dysentery that passes in a few days. Bring good mozzie repellant. There are plenty of international medical clinics in Bali - especially in Ubud and Kuta. Since the Bali Bombing, the Indonesian government spent $$ on improving the local hospitals and many more private ones have opened since. If you have a minor illness or ailment, you will be just fine. These clinics usually do not accept health insurance, but they do not cost much. Should you need specialized care in a dire emergency, you would need to be evacuated to Singapore. It is always wise to purchase travelers health insurance with evacuation coverage. While in Ubud, for minor issues, see TOYO clinic, for more serious issues, check out the SOS International medical or SILOAM clinics. Any hotel or home stay will have bottled or filtered water available, and 99% of restaurants on the island use bottled water for all cooking purposes. Nevertheless, it is advisable to drink and brush teeth with bottled water. Food carts and local markets carry a greater degree of risk. You can expect pleasant day temperatures between 20 to 33 degrees Celsius or 68 to 93 degrees Fahrenheit year-round. From December to March, the West monsoon can bring heavy showers and high humidity, but usually days are sunny and the rains start during the night and pass quickly. From June to September the humidity is low, and it can be quite cool in the evenings. During this time of the year, you'll have hardly any rain in the coastal areas. The weather system is now officially un-predictable. Its used to be that if you visited between November and April a rain poncho or umbrella will come in handy, and both can be purchased inexpensively here. As this time is Bali’s summer, the rains tend to be warm and humid, but a light jacket can be useful for evenings. May through October is typically dry season and winter. Comfortable sandals are a must, and should be easy to take off as most Balinese do not wear shoes indoors. Same day laundry service is inexpensive and plentiful, so you’re better off to pack light. Don’t forget your bathing trunks! Although the Balinese are used to western tourists, they are still a modest culture, so walking down city streets with no shirt on will likely get you a sideways glance or two. Anytime you go into a temple for a ceremony or tourist attraction you MUST wear a long sleeve shirt, pants or preferably sarong that cover your knees. Women and men have separate requirements, and the Balinese are only to happy to explain the rules and outfit you accordingly if you’re minus an appropriate item or two. If you’re here for longer and wish to do some independent island exploration, both bicycles and motorbikes are available for rent. A motorbike should run you 20,000 to 30,000 rupiah per day … everything is negotiable. Make sure you get a good helmet … roads are narrow, often full of pot holes, dogs are everywhere, and the Balinese like to drive like stock car racers! While driving, repeat this mantra: “Slow and Go, Slow and Go … Om.” If motorbikes aren’t your thing, there are plenty of drivers ready and willing to take you anywhere. We know a number of great ones … honest, friendly and English speaking. Feel free to ask. It is not necessary, nor advisable, to rent a car in Bali. A car and driver can be had for $30-$40 per day. Inexpensive transportation is readily available.